Power is the most significant criteria of development and the level of development of a society is measured by the amount of power that it consumed. In this present world, the demand for energy is rising day by day and to meet this extreme demand, renewable energy resources are the most effective solution because fossil fuels are limited, their prices fluctuate frequently and high amount of greenhouse gases are emitted during the combustion of them. There are various types of renewable energies prominently solar, wind, hydro, marine, geo-thermal and bio-fuel that are infinite in nature and necessary to balance the world’s supply of energy. They are cheap, environment friendly and effective for electrcity generation even where the national grid cannot reach. To preserve the eco system of the world, there is no other option than renewable sources and in future, it is expected that all the energy market will be taken over by them. 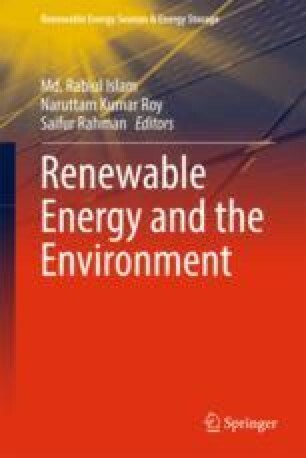 In this chapter, the importance of renewable energy, their sources, present situations and future prospects, as well as their valuable roles to preserve economy and environment are discussed. Correlation factors for analyzing the need for renewable energy are also demonstrated. Finally, suggestions are made to encourage investors for contributing to the renewable energy sector.